You might like to try Transformations on a Pegboard before looking at this problem. Here are some ideas to take this activity some stages further. You may like to use this interactive pegboard to try out your ideas. Read underneath the interactivity for the challenges! 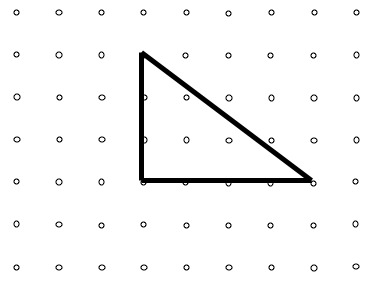 How many different right-angles triangles can you get if you stick to a grid of $7$ rows of dots and $9$ columns of dots? The triangle started off having a base of $6$ and was $3$ high. 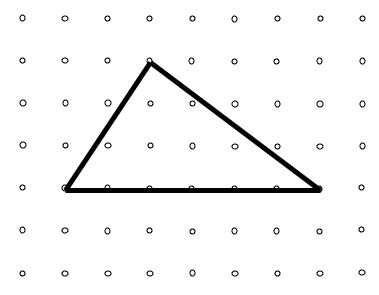 Look at the other triangles you have found that have this same base and height. 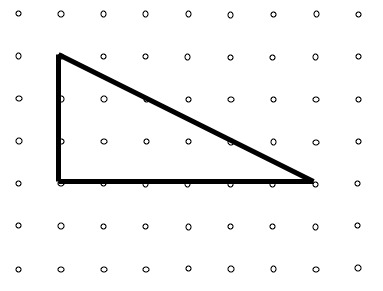 What can you say about the areas of this set of triangles? Triangles. Practical Activity. Area - squares and rectangles. Combinations. Investigations. Working systematically. Games. Interactivities. Addition & subtraction. Visualising.